The Geist Dry Goods and Shoe Store was owned and operated by Gottfried Geist. Gottfried was born in Kraft, Russia on September 11, 1884. He worked as a cabinet maker for seven years before immigrating to the United States in April 1906 aboard the Hamburg American Line steamship Graf Waldersee. 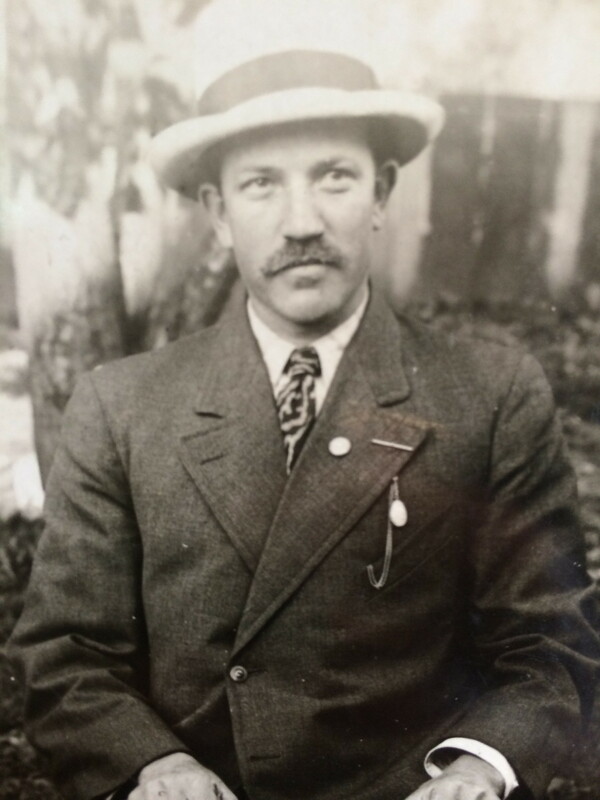 The United States Irish Emigration Society of New York secured a job for Gottfried as a cabinet maker at the Ford and Johnson Company in Michigan City, Indiana. He earned $2.00 per day. Gottfried married Katharina Yost, the daughter of Peter Yost, in March 1909. After Katharina died in 1915, Gottfried married Elizabeth (Lizzie) Bauer in November 1916. Elizabeth was born in Portland in 1893 and died there in 1971. The Geist store started out as two separate operations in a wooden building at 829-831 Union Avenue North. This building was replaced by a two-story brick building at the same location (now 3933 NE MLK Blvd.). A few years prior to the outbreak of World War II, the dry goods store was incorporated into the shoe store and the operation was rebranded as the Geist Department Store. Dr. Uhle and Dr. Schiewe had offices upstairs above Geist's store. Weimers Hardware and Furniture Store was located directly across the street. Gottlieb Geist was a founding member and treasurer of the Volga Relief Society which was formed in 1921 to help assist family and friends suffering from a severe famine in Russia. Geist joined fellow Volga German entrepreneurs George Repp and John W. Miller who founded and led the organization. ​According to the 1930 U.S. Census the Geist family lived at 894 N. Mason Street. After Gottfried Geist's death in 1962, the store was operated by his son, Robert (Bob). Another man from Kraft was Mr. Geist, who most folk remember from his dry goods store. He probably extended more credit to his fellow countrymen than the local bank. He had been such a good friend to my family, that for Christmas our family made purchases of clothing which we packed and mailed to Michigan for my eldest sons family, because we wanted Mr. Geist to have the business and to know how much we thought of him for his past generosity. Mr. Geist loaned many countrymen several hundred dollars on a handshake. We utilized the Geist Store even after the old gentleman had died and his son Bob was running the business. Ancestry.com - Family tree of Brian Zimmer. ​Brill, Conrad. Memories of Norka. Interview by George Brill. Print. Kammerzell, Harold. Oral history provided on October 11, 2018. Scoggins, Linda. Emails regarding the Geist Department Store.